First, THANK YOU for sharing this info LOWvert!!! Is there any way of getting total production number on just Sterling Grey Mettallic on 4.8is regardless of the interior color??? And a letter from BMW explaining why they lied. I also have a PDF of all X series sales from 2003-08, but no idea how to link it up here. 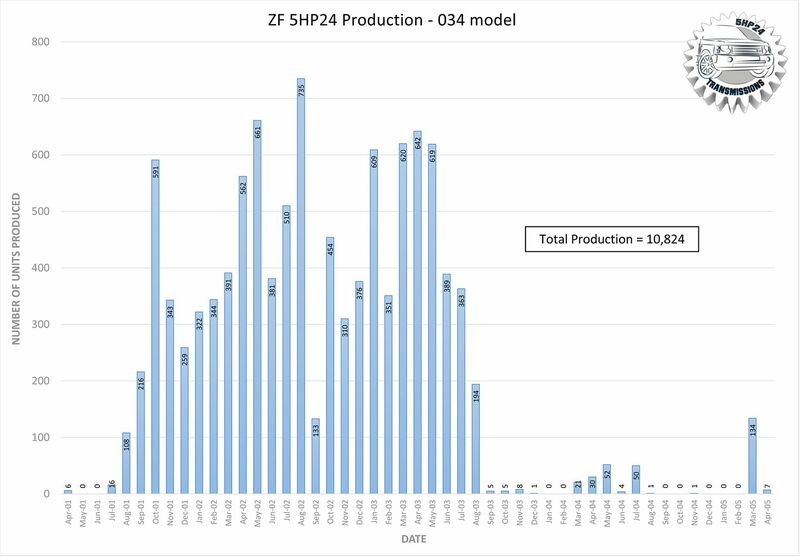 Official 4.8is production was 4/04, still crazy some made it that long. But also crazy we had some 01 productions! 1 October build was a member a long time ago too. Great info, more than I've seen so far. PRINTING! The first 4.6is VIN started at 78000 (Mine is 78833) and the last was LN81258 = 3,258 total production. In case it’s helpful, ZF produced a total of 10,824 5HP24 transmissions especially for the E53 4.6iS (i.e. transmission model number 1058 000 034). The units produced after August 2003 would have been for stock as spares. This compares to over 85,000 transmissions produced for the much more common 4.4i (ZF model number 1058 000 029). So confusing with the start/end VINs and now this data, which are thousands apart. I only recall someone at a dealer (many eons ago) of a sterling 4.8is. There is a pic somewhere, but probably lost to the threads of time. Hmm odd on 4.6is end vin. Thought it went longer.